All BYA programs are recreation level, in-house programs. We provide family-oriented programs that focus on player development and instruction. 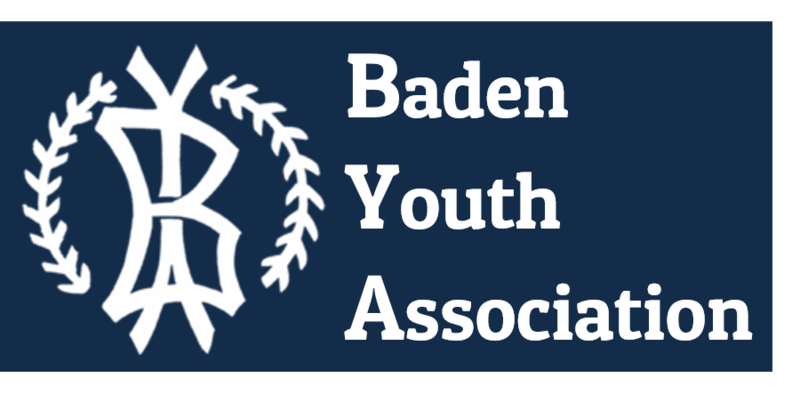 We don't require player fundraising, there's very little travel involved, and we accept boys and girls from all local communities (not just Baden). Our Pre-Season development and conditioning programs begin in February. Regular Season begins in late April and ends before the July 4th holiday. All players that participate in our Regular Season are eligible to play at no additional cost in our informal Fall Season program that runs from mid-September to mid-October. The Start Smart Baseball Program is offered to BYA players 3-5 years old through an exclusive partnership with the National Association of Youth Sports. The program prepares children and their parents for organized tee-ball, baseball and softball. This 7-week Child/Parent program will meet 1 hour per week on Thursday evenings from 6:30pm - 7:30pm at the State Street Elementary School gymnasium. The program starts on February 7, 2019 and ends on March 21, 2019. All players will receive their own bat & ball set, glove and Start Smart t-shirt. Registered Start Smart players will receive a discount towards their 2019 BYA regular season registration. Watch a short video of the program here and find more details in the Start Smart program flyer here. BYA's 8U Skills & Drills Clinic is a 6-week player development program designed to refresh and polish player skills in preparation for the upcoming 8U spring baseball season. Focus areas will include throwing, catching, fielding, hitting and situational drills. Participants are expected to come to each session with a willingness to work hard and learn more about the game. We keep things instructional and fun, but please be aware that this is not a once-a-week, indoor recess program. After 6 weeks of conditioning, we expect noticeable improvement in all participants. Indoor practices are held on Tuesdays at the State Street Elementary school gymnasium and will last 90 minutes (6:30pm - 8:00pm). Sessions will start on February 5, 2019 and end on March 12, 2019. This program is open to all current BYA players with birthdays between 9/1/2010 - 8/31/2012. It's time to shake off the rust from a long off-season and get ready for the regular season. Our 10U Spring Training session is designed to prepare our 10U team for the new challenges they'll face in kid-pitch baseball. We'll be focusing primarily on situational drills, base-running and pitching. The program consists of seven 90-minute sessions on Tuesdays & Thursdays (6:30pm - 8:00pm) at the State Street Elementary gymnasium starting on March 19, 2019 and ending on April 11, 2019. This program is available only to registered BYA 10U players and is offered free of charge. Tee-Ball - Open to 3 & 4 year-old boys and girls. At this age, the game is primarily focused on getting the players to swing the bat, hit the ball and run the bases. Each team will bat through the entire lineup each inning - no outs, no strikeouts. The BYA tee-ball program is a great way to introduce your child to the game of baseball in an instructional, yet fun and family-oriented setting. Soft foam bats are provided by BYA. All players receive team shirt and BYA hat. Games are played once a week (Monday - Thursday) starting at 6PM and typically last 3 innings or 45 minutes max. Rookie Baseball - Our in-house, Rookie Baseball program is designed for 5 & 6 year-old boys and girls who may or may not have tee-ball experience. The Rookie program plays a form of modified-rules baseball that focuses more on instruction than competition. The Rookie program concentrates primarily on the fundamentals of hitting and fielding, while fostering a respect for sportsmanship and team play. Offensive and defensive strategy is encouraged but not emphasized at this age level. Both coach-pitch and tee-hitting is used at this level. The Rookie Baseball program is a great way for players to learn the fundamentals required to compete at the 8U and 10U levels as they grow older. Each team will play a max of 10 regular season games and can expect to play or practice 1-2 times per week. Games are played Monday - Thursday starting at 6PM. Baseball (8U | Coach Pitch) - Our non-competitive 8U baseball program is for 7-8 year-old boys and girls who have 1 or more years of experience playing Rookie Baseball (or who have played previously in our 8U program or other non-BYA program). This age group naturally tends to be slightly more competitive, but our coaches will emphasize instruction, sportsmanship and team effort over competitiveness. The 8U program is fantastic for players who want more instruction before moving on to a higher competitive level. The 8U program is coach-pitch and focuses on the fundamentals of hitting, fielding and game strategy. At the end of the regular season, the 8U program will compete in an in-house single-elimination tournament or an in-house skills competition. Depending on registration numbers and team assignments, we may hold a few mixed program games during the season where an 8U team would play against a 10U team (following 8U rules). 8U players will also have the opportunity to play in additional summer tournaments after the regular season. Each team will play a max of 10 regular season games and can expect to play or practice 1-2 times per week. Games are played Monday - Thursday starting at 6PM. Baseball (10U | Modified Kid Pitch) - Our semi-competitive 10U baseball program is for 9-10 year-old boys and girls who have 1 or more years of experience playing in the BYA 8U program (or similar). While emphasis still leans towards development and sportsmanship, we begin introducing elements of advanced game strategy and positional play. The 10U program is Kid Pitch (with coaches stepping in as necessary to keep games moving along). Our 10U teams will play a couple games against other local 10U teams which may require travel to other ball fields in the Beaver County area. At the end of the regular season, the 10U program will compete in either a single-elimination tournament or a skills competition. Depending on registration numbers and team assignments, we may hold a few mixed program games during the season where a 10U team would play against an 8U team (following 8U rules). 10U players will also have the opportunity to play in additional summer tournaments after the regular season. Each team will play a max of 10 regular season games and can expect to play or practice 2-3 times per week. Games are played Monday - Thursday starting at 6PM. We believe there's such a thing as "too much baseball". After a long regular season, it's time to slow it down a bit. No more practices and strict schedules. Think of BYA Fall Ball as the type of baseball we older folks played when we were kids - sand lot, wiffle-ball pickup games. We'll give the kids a few minutes of instructional drills, then it's a game of wiffle-ball or kickball. Some of the most spirited, competitive games have taken place during Fall Ball, under the lights on those crisp, autumn evenings. 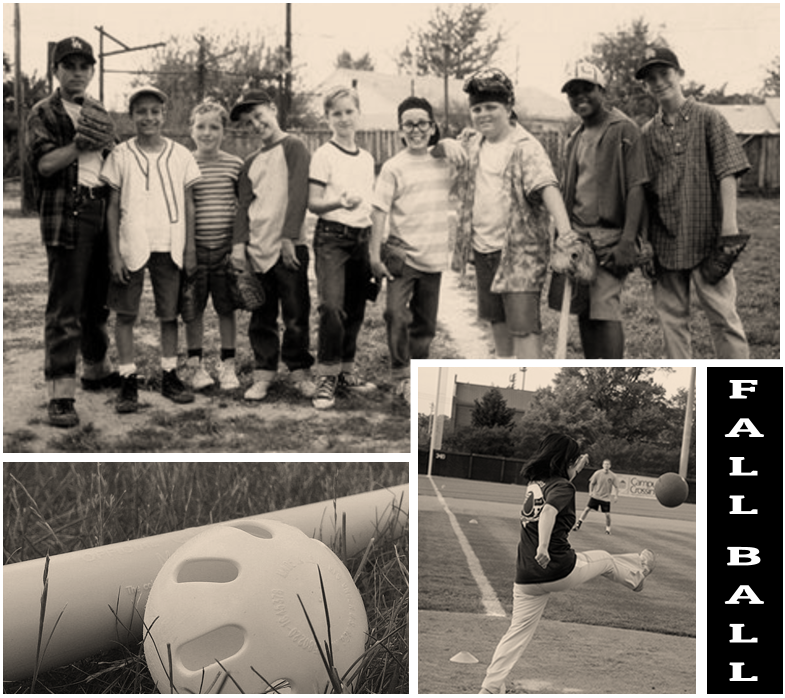 Fall Ball activities are included for all age groups and typically run once a week from Labor Day - Halloween. Best of all it's FREE to all players who played with us in the regular season!